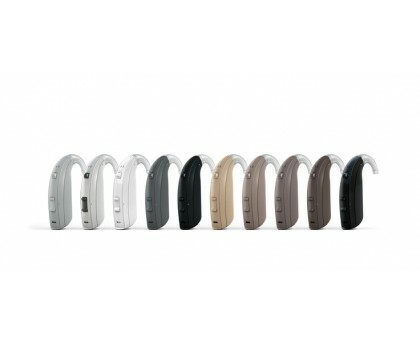 ReSound Enzo² brings smart hearing technology to people with severe and profound hearing loss. 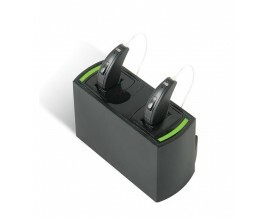 It gives full and easy access to the sounds that matter the most to you, in the best possible sound quality. It streams stereo sound from iPhone, iPad and iPod touch without an intermediate device, and offers smart new ways to control and personalize your hearing experience. 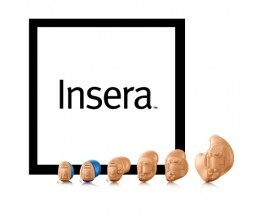 Binaural Directionality – Locates the most intense speech signal and ensures it is clear and audible. MultiScope Adaptive Directionality – Tailor the width of the beam to suit your preference. 4 Fully Flexible Programs - For personalisation. 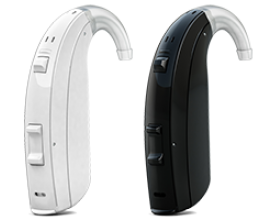 Synchronized Volume & Push Button - Volume adjustments and program changes made on one hearing to both hearing aids. 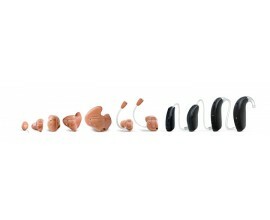 Natural Directionality II - Unique asymmetrical fitting strategy, where one hearing aid is set with a directional fit and the other one is set with an omnidirectional fit. 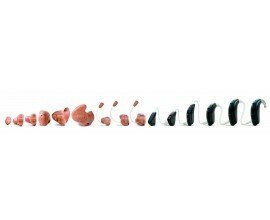 The first ear is thus the Focus ear and the other the Monitor ear. Auto DFS - Feedback management system. 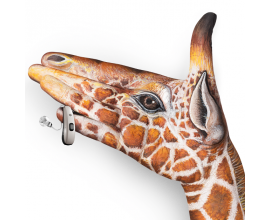 Comfort Phone – When on the telephone the hearing aid automatically changes to a dedicated phone program whilst the non-telephone ear hearing aid reduces in volume slightly to help you concentrate whilst still being aware of your environment. 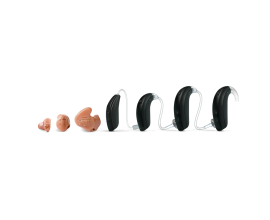 Sound Shaper – Helps high frequency sounds to be heard and processed effectively by the wearer if they have a severe/profound high frequency hearing loss. DFS Ultra II with Music Mode – This helps to reduce annoying whistling from your hearing aids and also preserves the sound quality of music. Softswitching – Detects levels of sound and speech the slowly adapts the microphones to ensure a continuous comfortable listening environment. 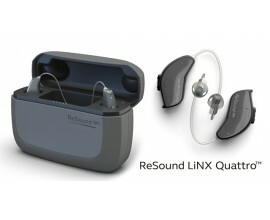 Compatible with GN ReSound unique wireless Accessories.